After my Levenger Note Cards review last week, I figured I would back it up with these Moleskine Memo Cards pretty quickly. While they both appeal to the same audience, they are both very different when comparing the two directly. 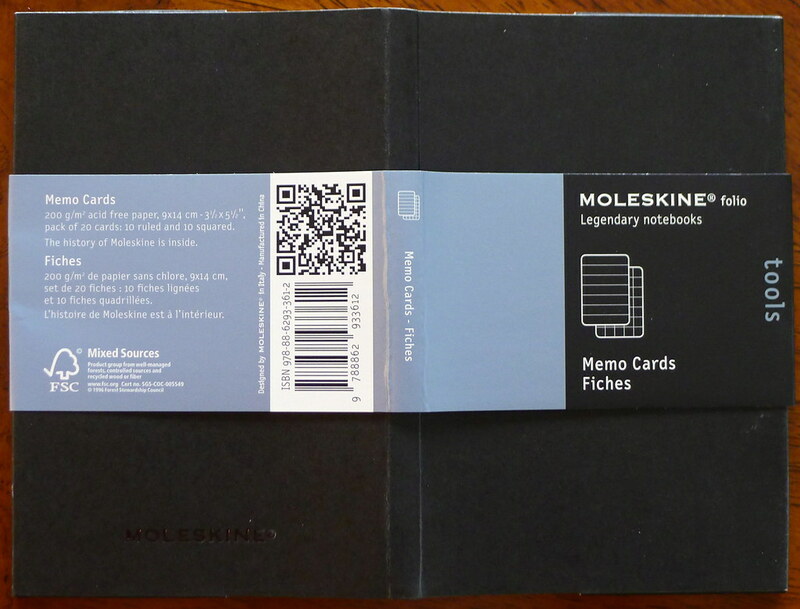 The Moleskine Memo Cards come packaged 20 to a pack, with 10 gridded cards and 10 lined cards. Unlike the Levenger cards, they are printed on both sides. They measure 3 /12" x 5 1/2" and also have rounded corners, which I really like as a design element on these cards. One of the issues I have always had with Moleskine products is the poor quality of the paper, and if you have used a Moleskine product before, then you are familiar with how these memo cards perform. The micro tip pens like the Pilot Hi-Tec-C 0.25mm gel ink pens perform poorly, as do many of the finer gel ink pens (although the Signo DX 0.38mm is not bad), but the wider gel ink pens and the liquid ink pens do a nice job. 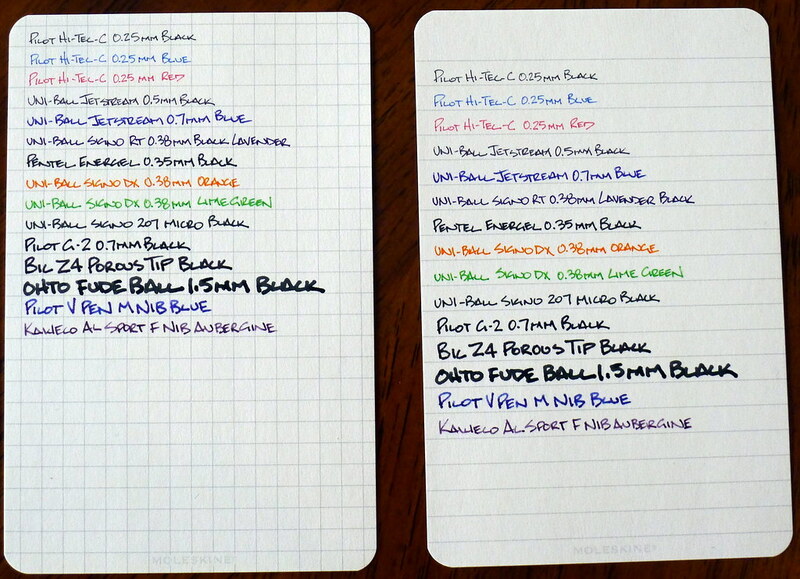 What really surprised me was how well my fountain pens performed. While I would have a tough time even using them on the Levenger cards, I thought they were great on the Moleskine cards. Who knew? But now for the real kicker - the price. Holy cow are these expensive. My 20 pack was $8.95 at Amazon, making them nearly 8 times more expensive than the Levenger cards. While there are several things I like about these Moleskine cards, there is no way I could justify that price in any quantity. Heck, I'm scared to use the remaining ones I have in case certain retailers start taking them as a form of payment. Out of the higher end note cards, I still need to try out the Exacompta (I have some on order), but right now the Levenger cards are looking like the winner. Posted on April 11, 2011 by Brad Dowdy and filed under Index Card, Moleskine.